It is almost comical how Palestinian officials will just make things up about Israel over and over again, hoping that some of their lies will stick. The official Wafa news agency says that "The Committee for Prisoners' Affairs warned on Sunday of the deterioration of the health conditions of a number of prisoners held in Ashkelon prison due to deliberate medical negligence by the administration of Israeli prisons." 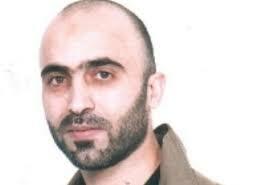 Riad al-Amour, a 45-year-old resident of Bethlehem who is sentenced to life imprisonment, is considered to be one of the most serious cases in the Israeli occupation prisons. He suffers from many health problems, including:, the removal of part of the intestines, the part of his liver, the replacement of a heart valve, and his heart only works through a pacemaker, which needs to be replaced, which was given two years ago an open heart surgery..
Riad al Amour, a murderer, received multiple free surgeries courtesy of the Israeli taxpayer - and now the Palestinian Authority is complaining that he is not being taken care of medically. Amour also participated in a hunger strike while ill a couple of years ago. But any medical condition is Israel's fault.